added several truly unique lines. We are thrilled to have Kawasaki 2.5 Eyephorics. Beautiful, luxurious, minimal, elegant and effortless to wear. 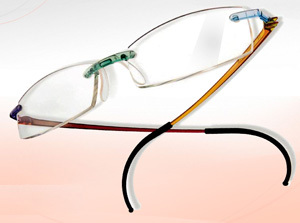 2.5 eyewear is precision made, featherweight, flexible and completely customizable. Thermoplastic temple tips that are heat sensitized and mold to the contours of your face. Visit Douglas Optometry's optical to experience 2.5 Eyephonics yourself.